If eating amongst nine-ton sculptures isn’t your thing, and you’re looking for some great sushi straight up, try Sushi Seki. The casual Upper East Side restaurant’s menu offers standard traditional fare like tempura, teriyaki and an ample selection of sake. But, you don’t go to Sushi Seki to order off the menu. 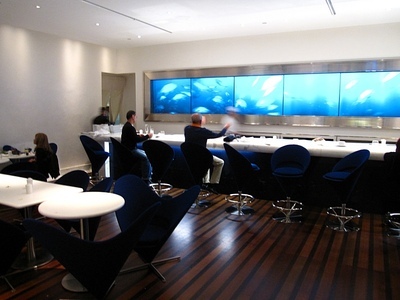 You go for the Omakase sushi, which is served from behind the bar by Chef Seki himself. If you’ve had a subpar meal somewhere else and want to a do–over, Sushi Seki stays open until 2:30. If you show up late enough, you might even catch some of the city’s most esteemed chefs sitting down to dinner, including Jean-Georges Vongerichten who is a rumored regular. 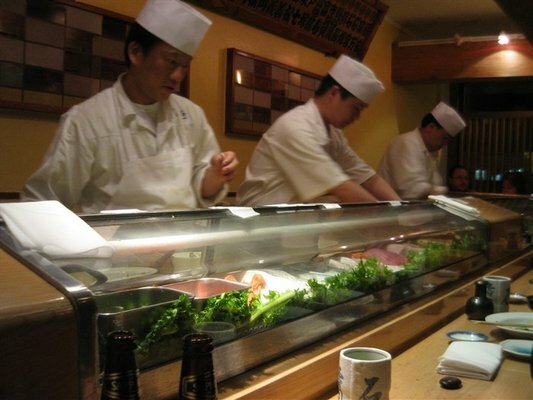 Sushi Seki is located at 1143 First Avenue, between 62 and 63 Streets.